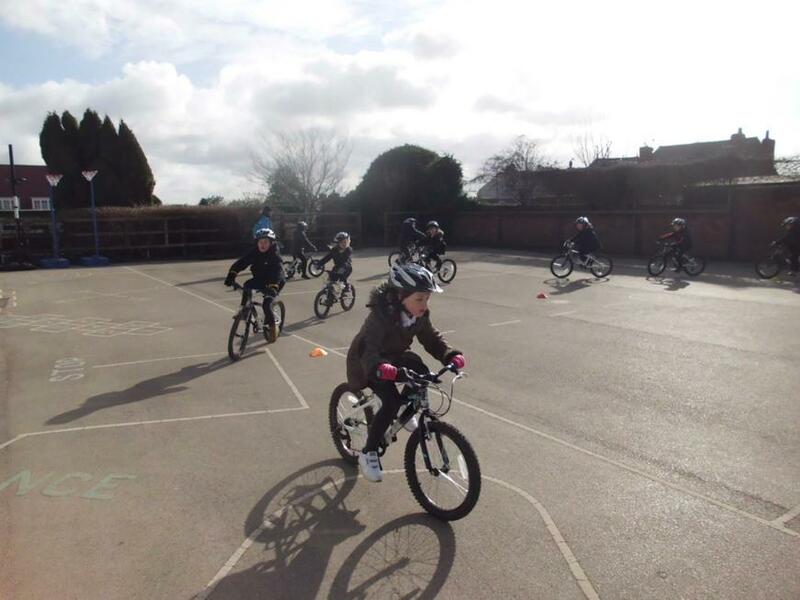 All children who participated had a great time completing their training up to Level Two, meaning they are safe to ride on the roads, when accompanied by an adult or older sibling. 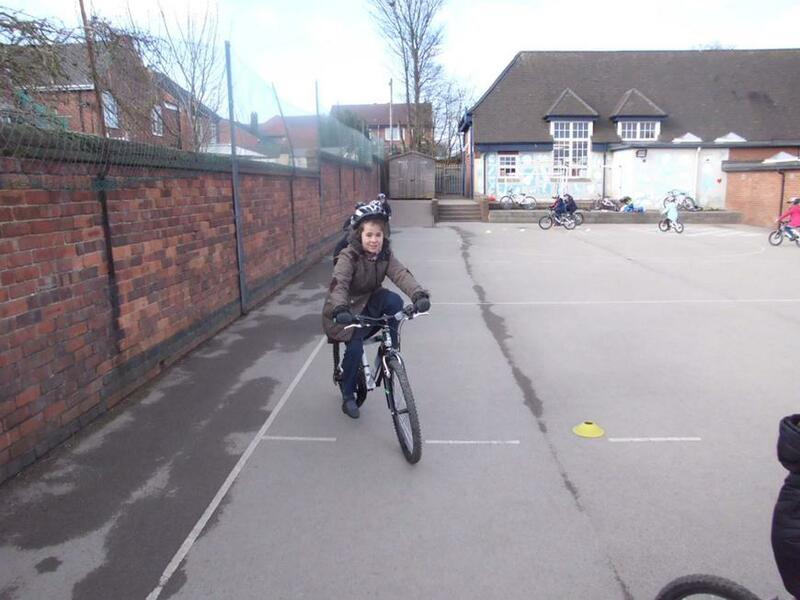 Level One on the playground at school showing basic control and bike handling skills. 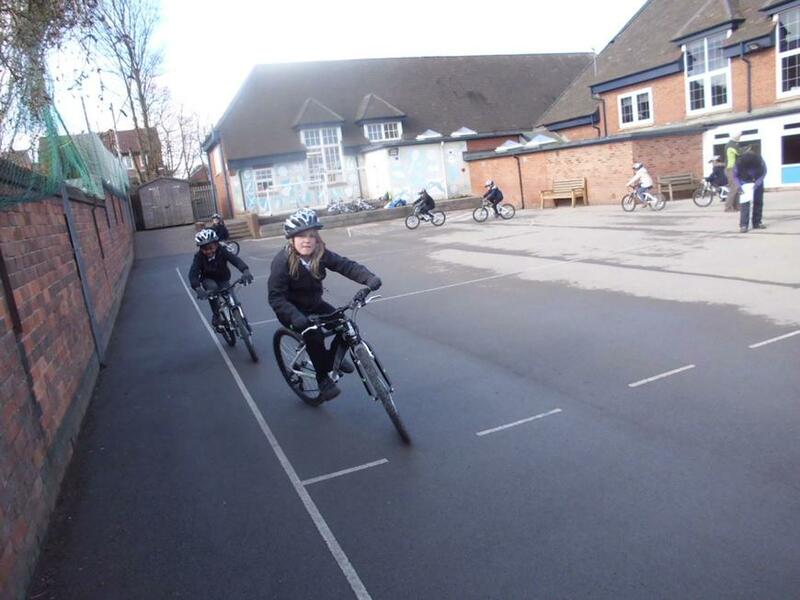 They were required to show that they could start and stop efficiently; look over their shoulders to check for other users; ride with one hand of the bars and show signaling; show control at slow speeds culminating in a 'Slow Race'. 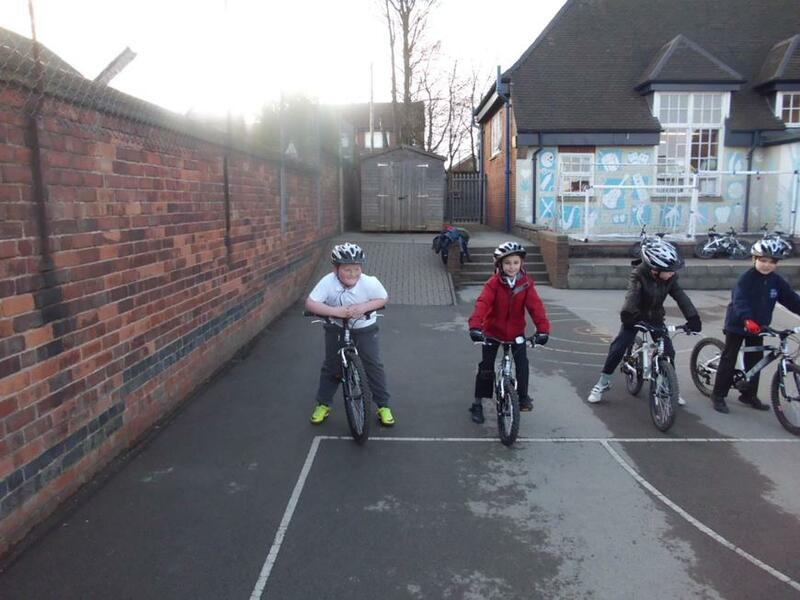 Level Two on the local roads around the school site. 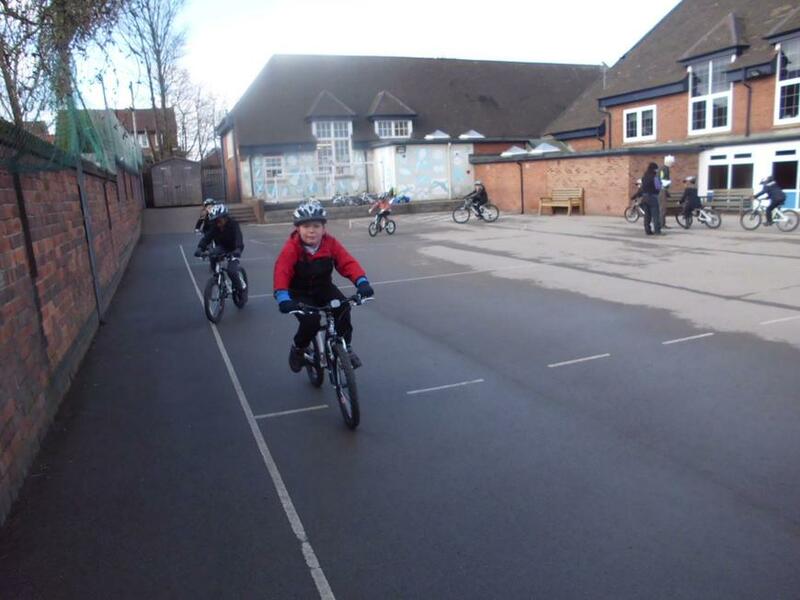 They were required to complete starting and stopping safely; U-turns; passing a parked car and a side road; left and right turns into various side roads and main roads. 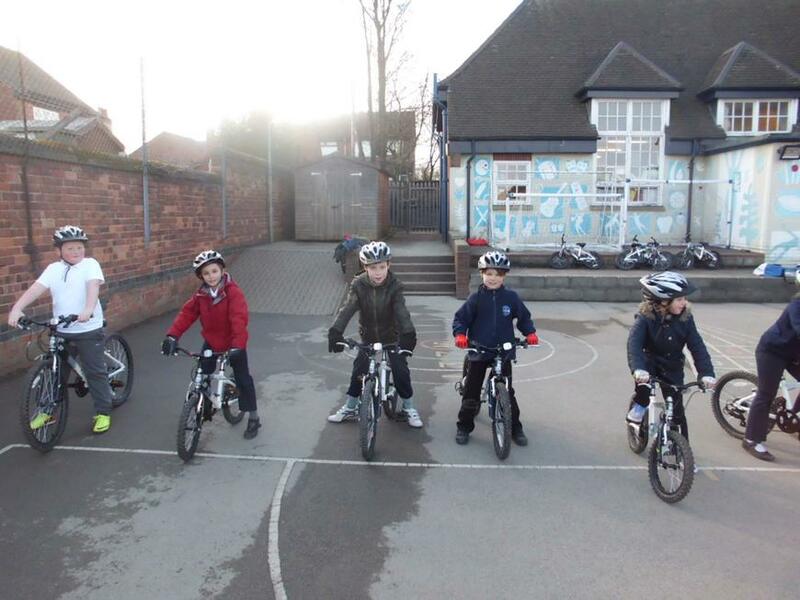 All the children were successful on the day and recently received their Level Two certificates and badges in assembly. 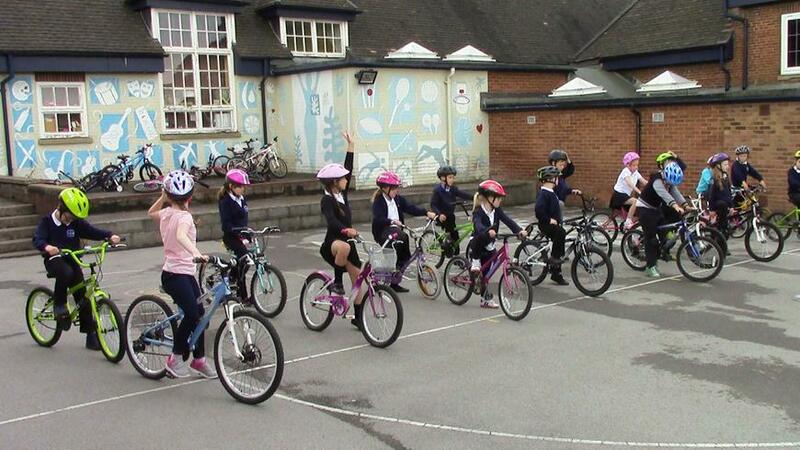 Safe riding out there to all those children and remember to show us what you have learnt. 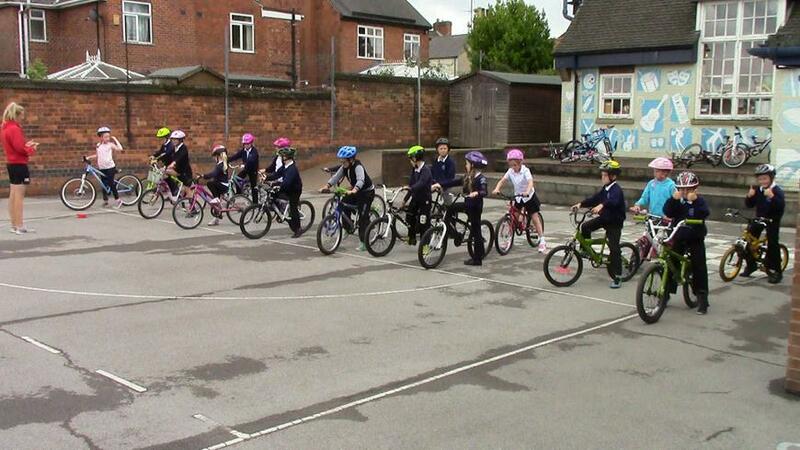 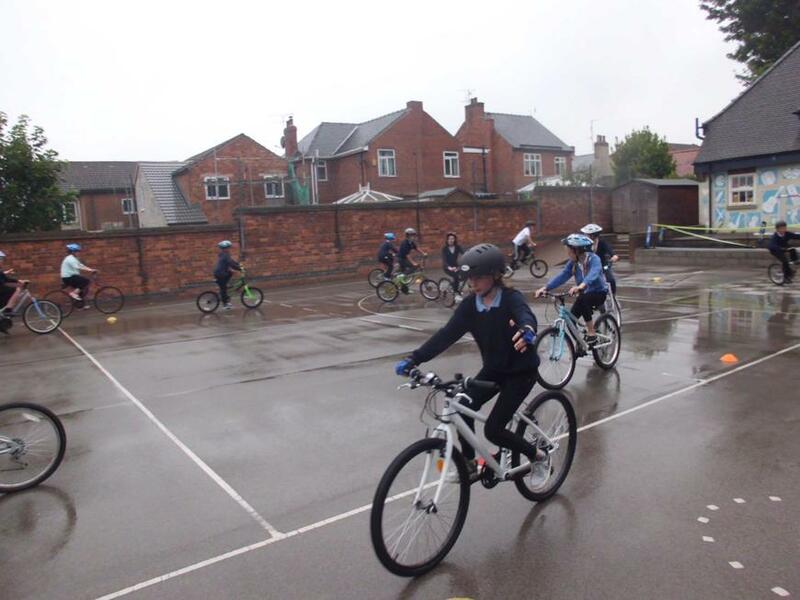 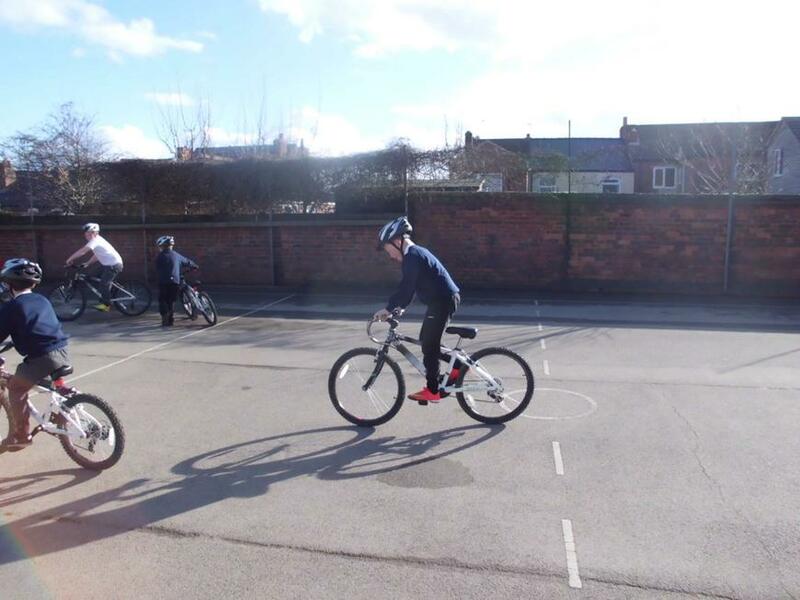 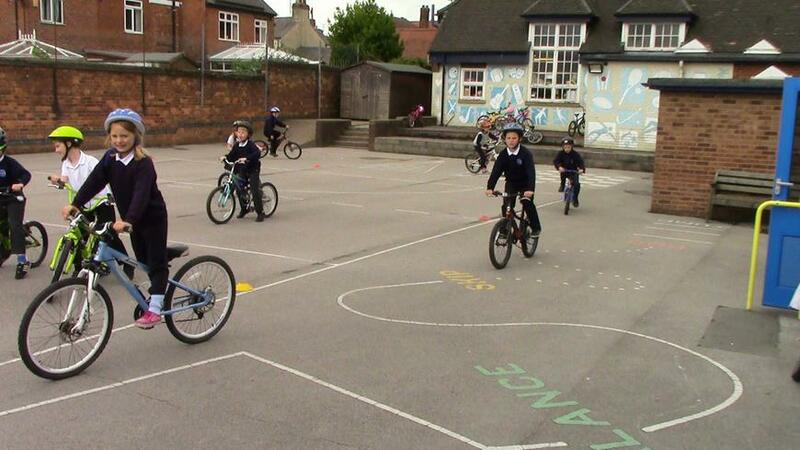 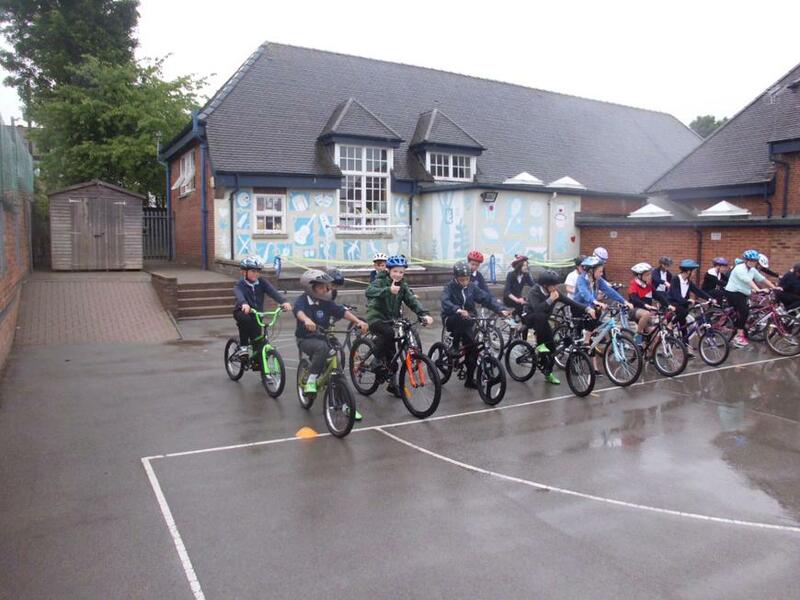 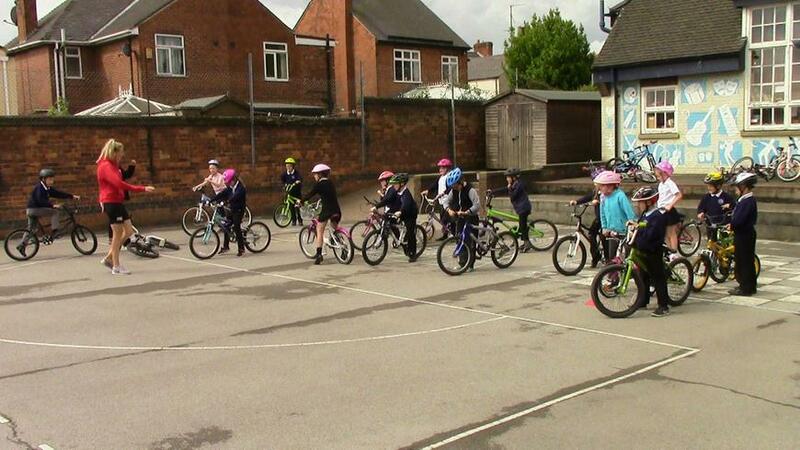 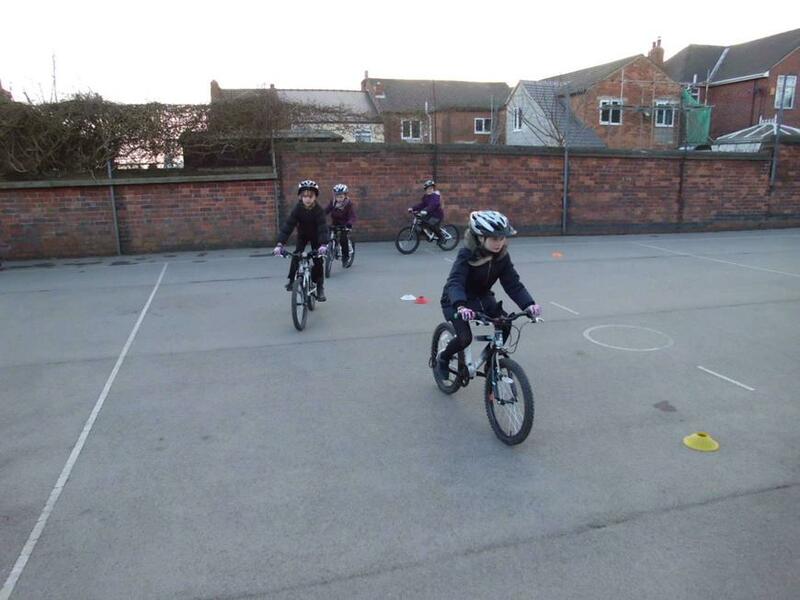 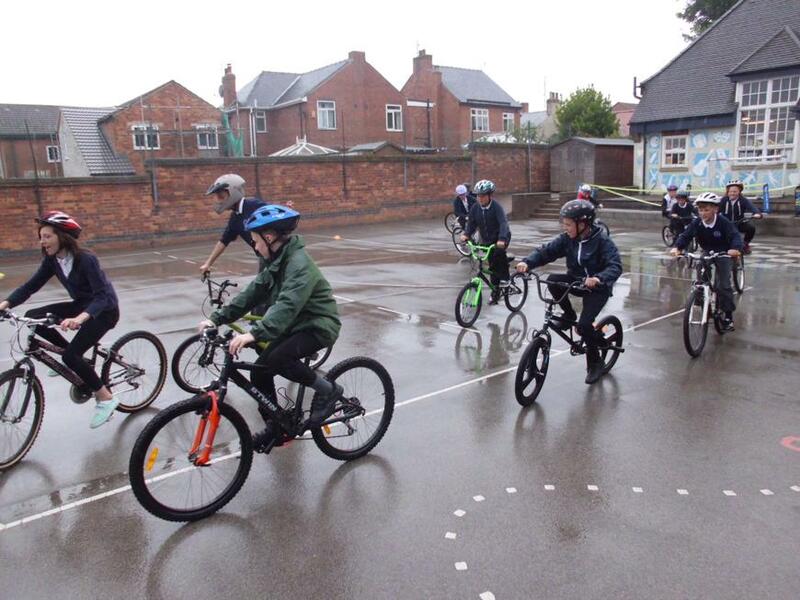 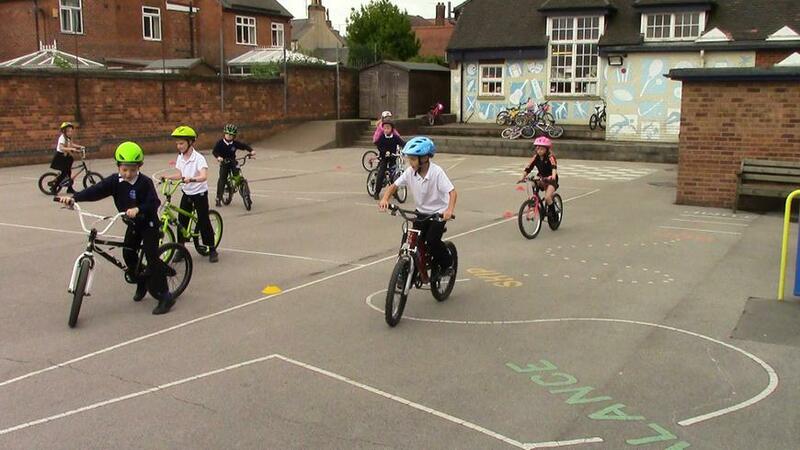 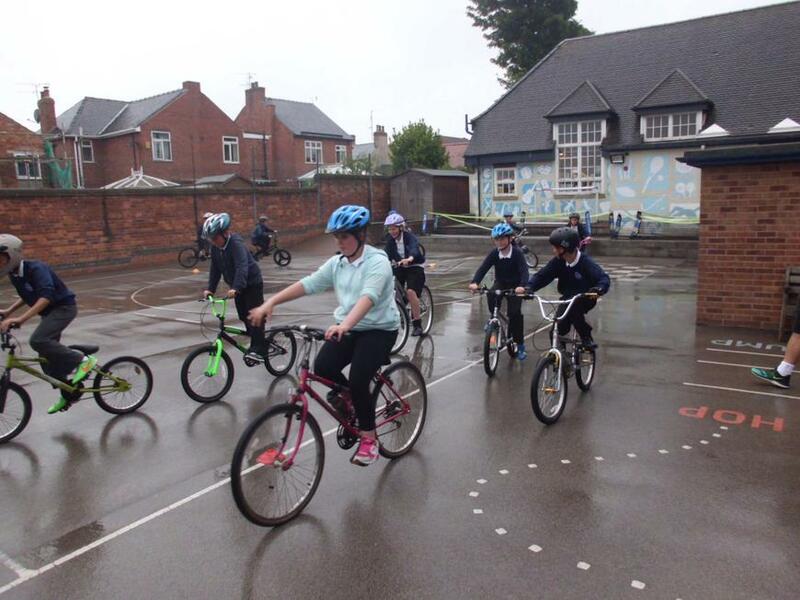 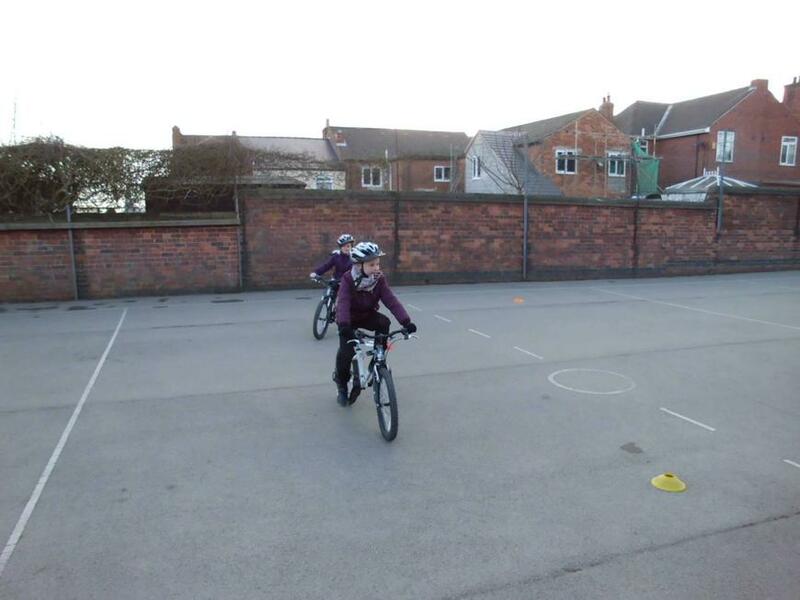 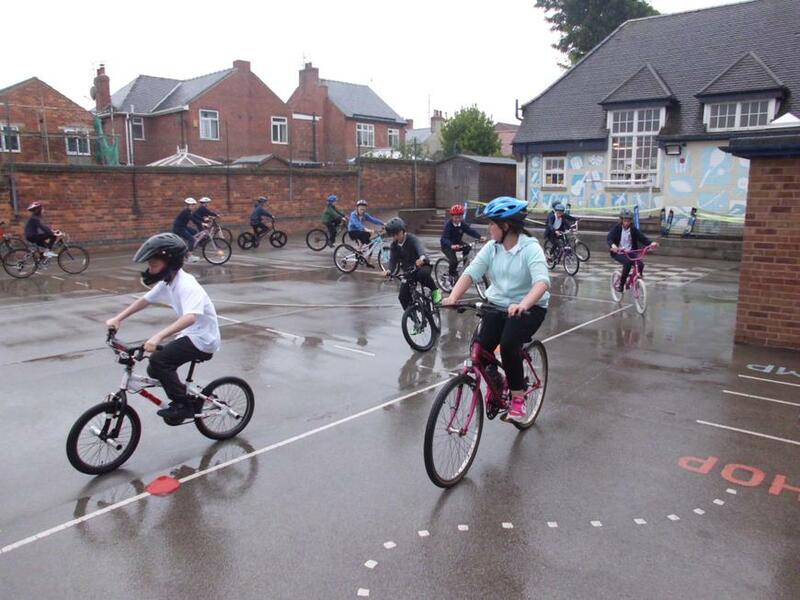 This was the second successive year our Year 3s had the opportunity to participate in cycle training due to our membership with the Amber Valley School Sports Partnership. 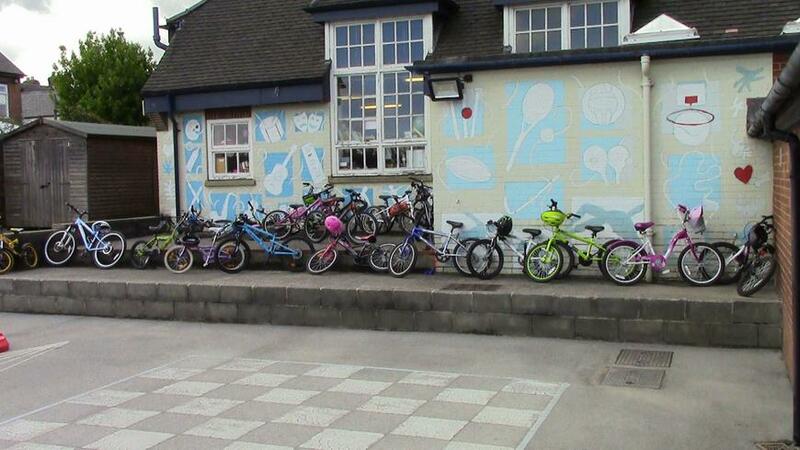 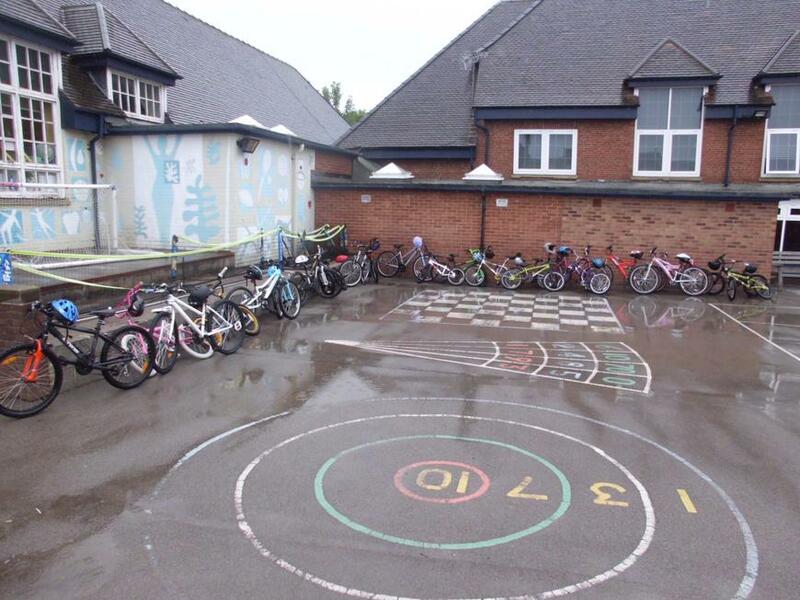 This year the children had to bring their own bikes into school. 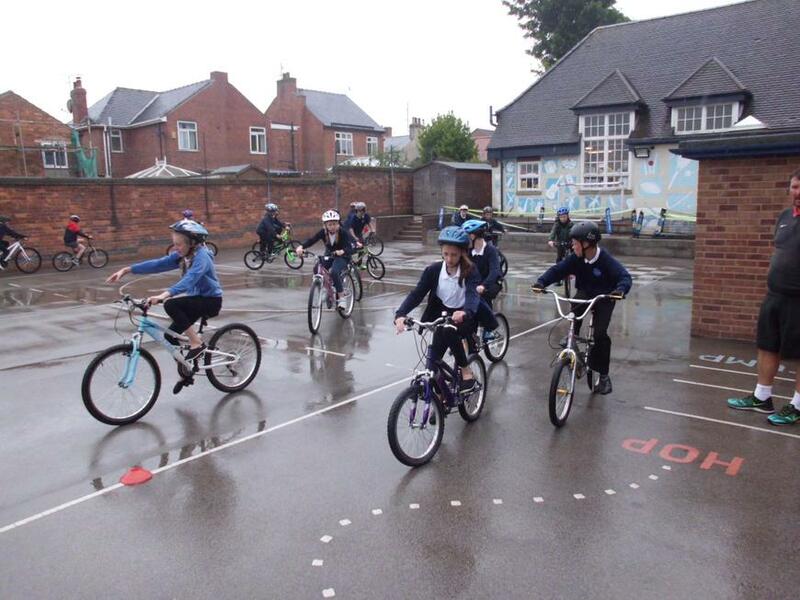 The children were taught basic bike maintenance; safe control of their bikes including starting and stopping; riding with one hand off the bars; shoulder checks; low speed control; and some elements of road courtesy. 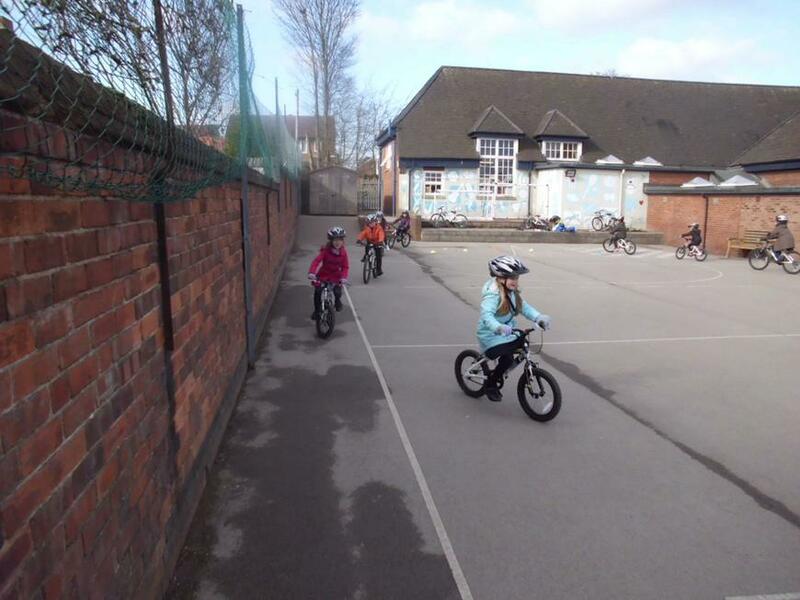 The children had a fantastic two days and the instructors were impressed with the way they improved and in some cases excelled. 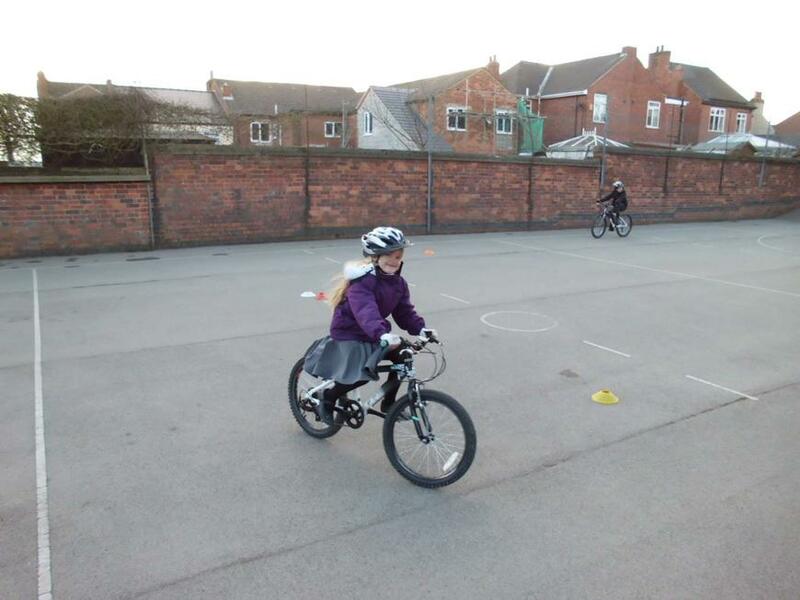 In 2015 we have had the opportunity for Y3/4 to do Bikeability for the first time due to our membership with the Amber Valley School Sport Partnership. 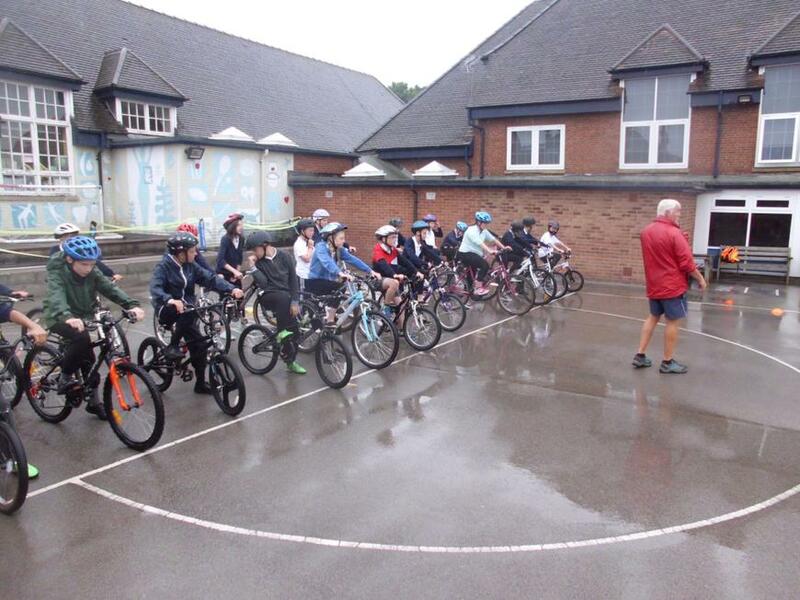 Over the course of two days all children were put through their paces by two Bikeability Instructors and given the opportunity to pass their Level One Bikeability on bikes provided by the partnership. 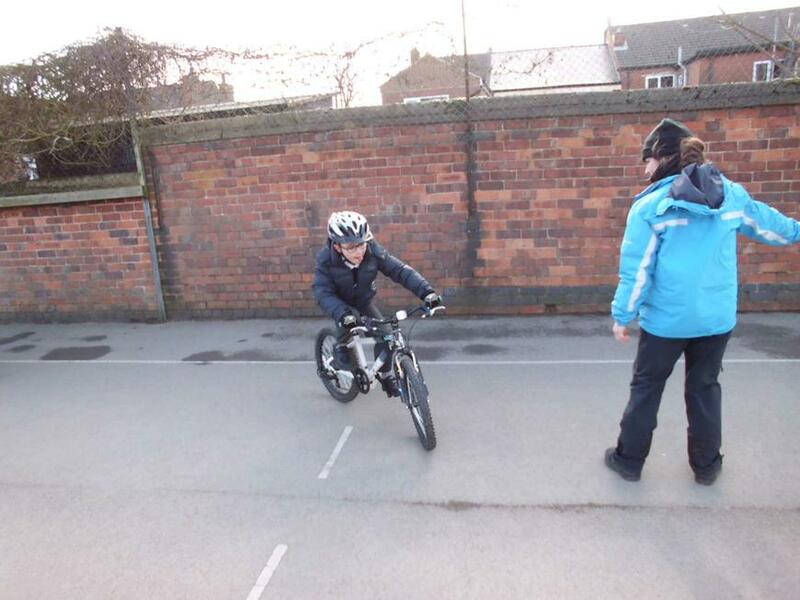 The children were taught basic bike maintainance; safe control of their bikes including starting and stopping; riding with one hand off the bars; shoulder checks; low speed control; and some elements of road courtesy. 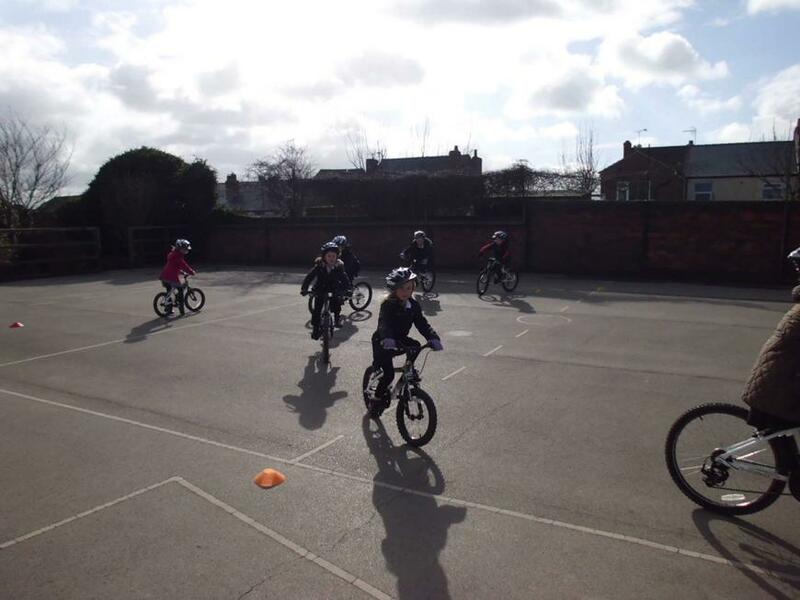 The children had a fantastic two days and the instructors were impressed with the way they improved and in some cases excelled. 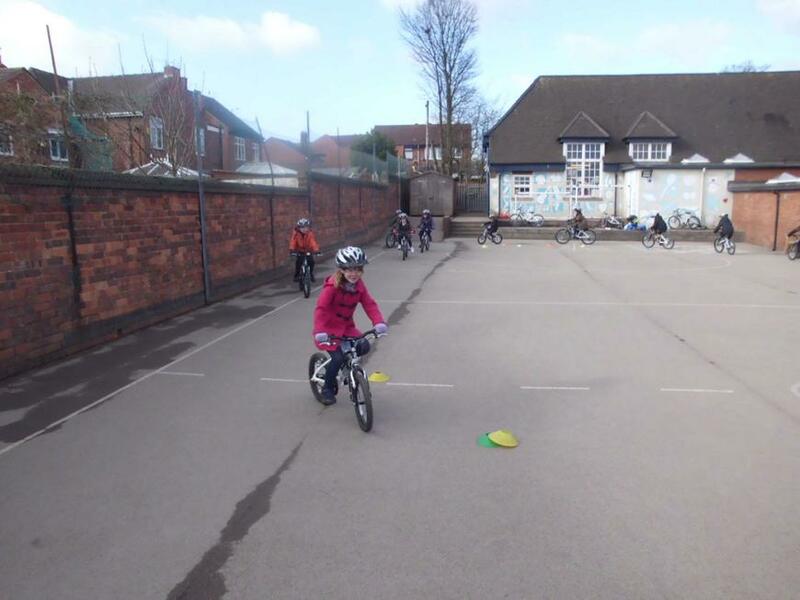 At the end of the two days the children were presented with their Bikeability Certificates and Badges and this hopefully has given many of them the control and confidence to ride their bikes more frequently. 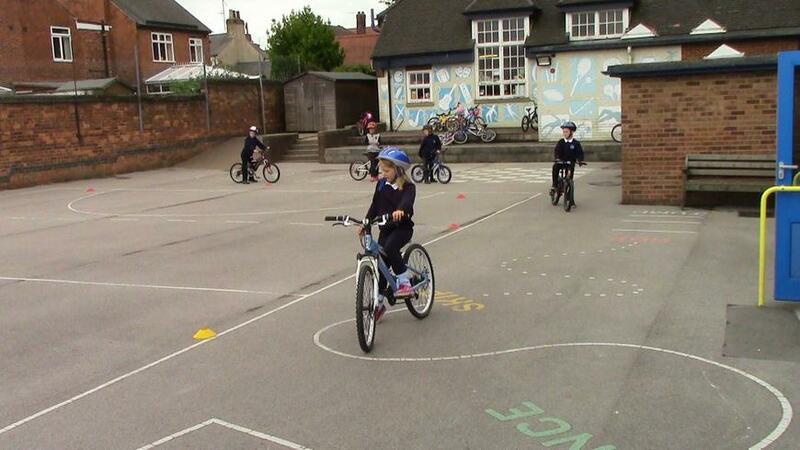 It is a big stepping stone to reaching Bikeability Level Two in later years. 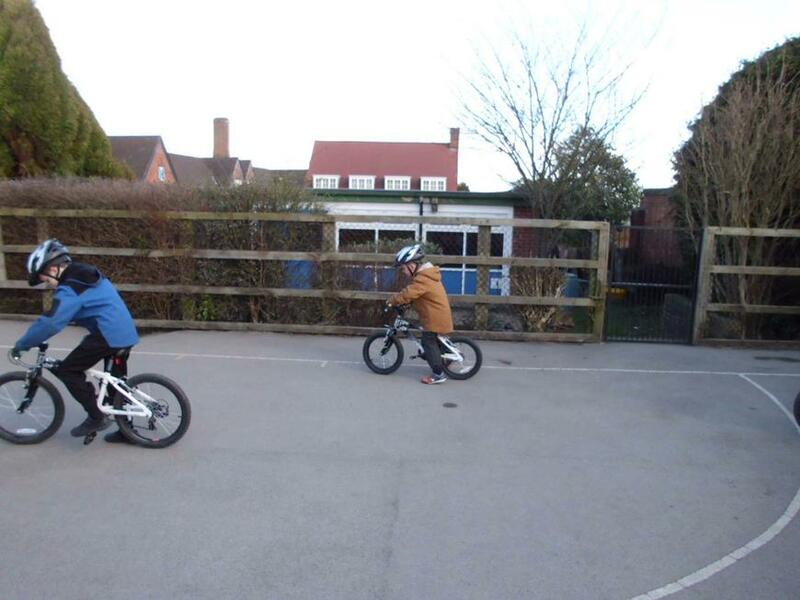 Two children showing great teamwork and control on their bikes! 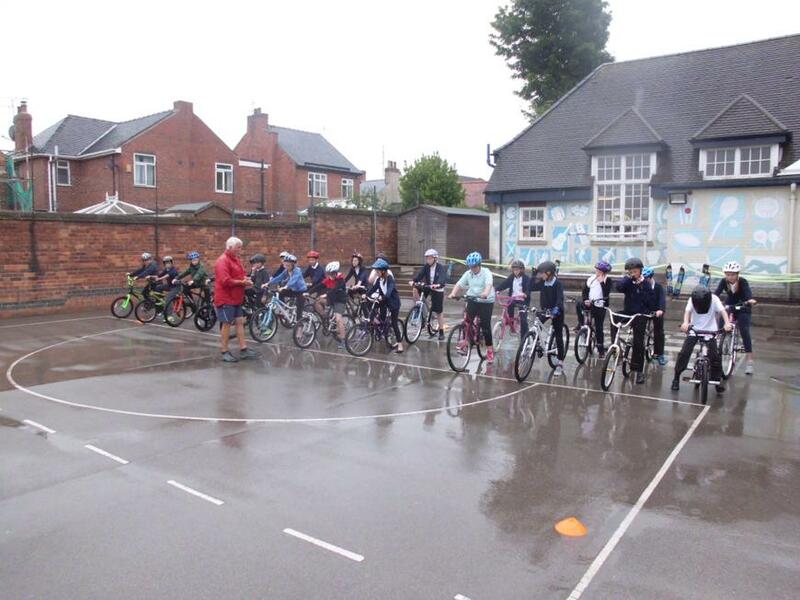 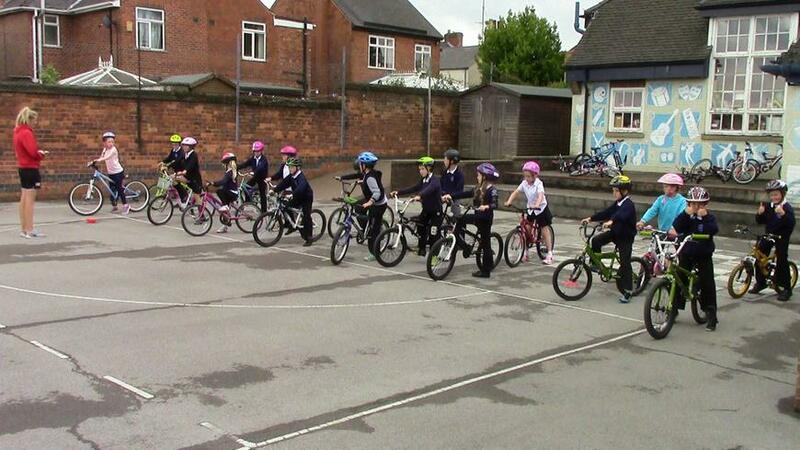 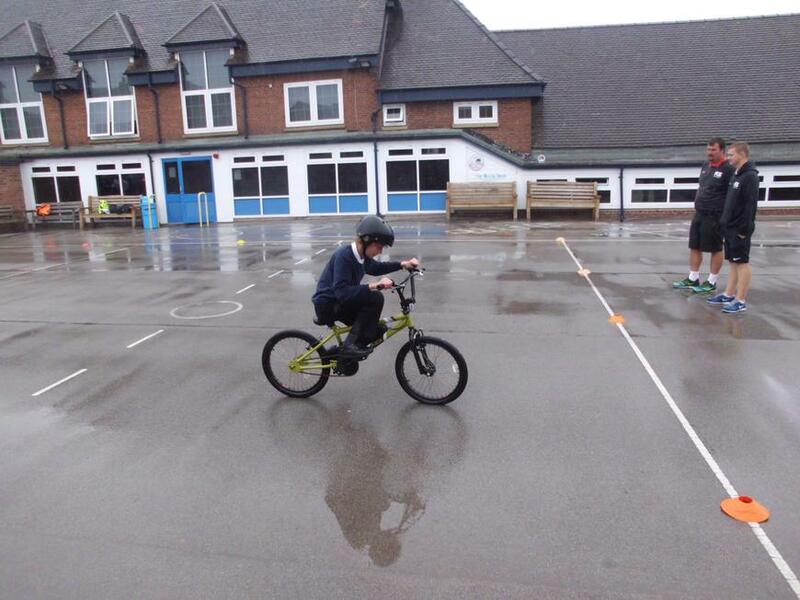 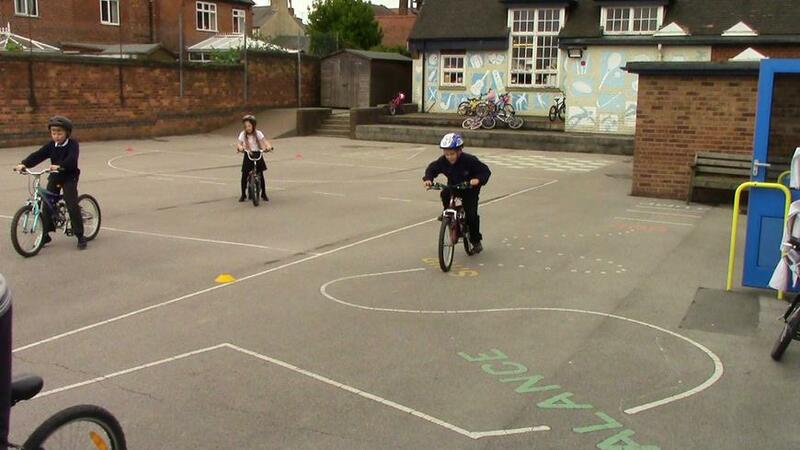 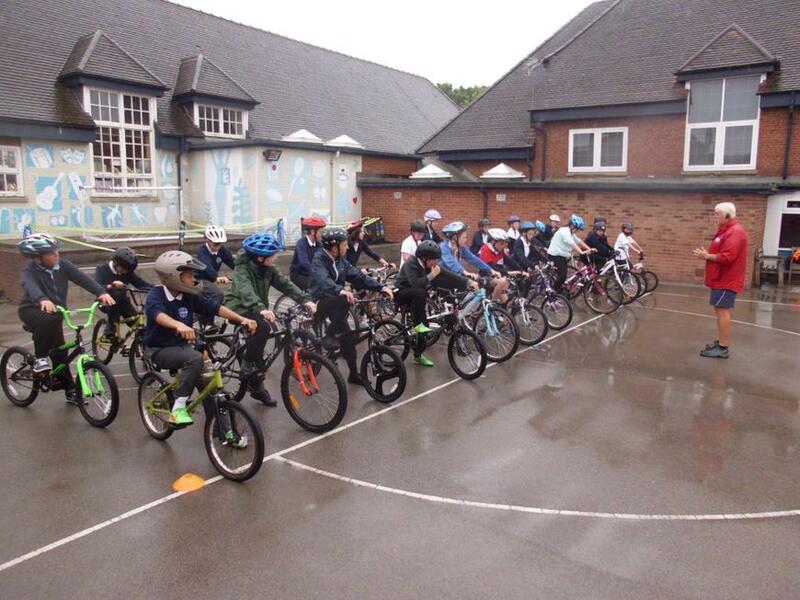 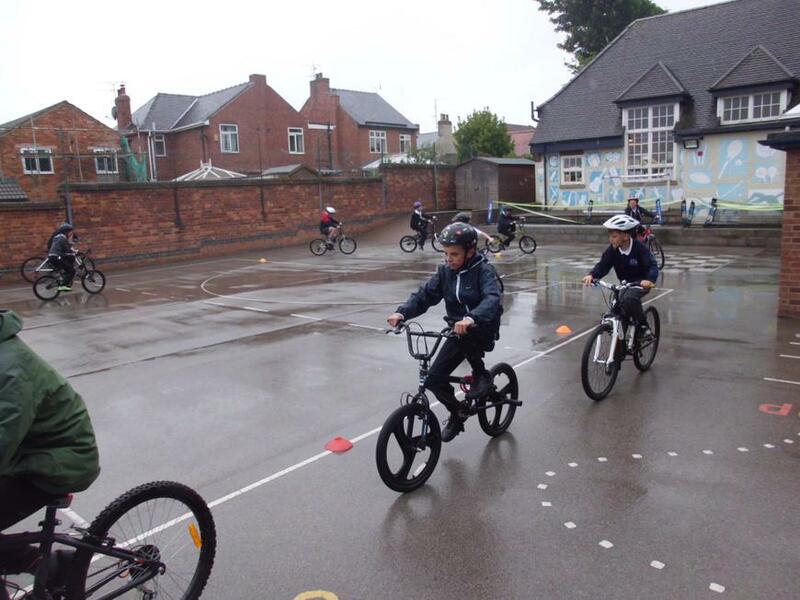 23 of our Year 6s took part in Bikeability training on Monday 13th July 2015. 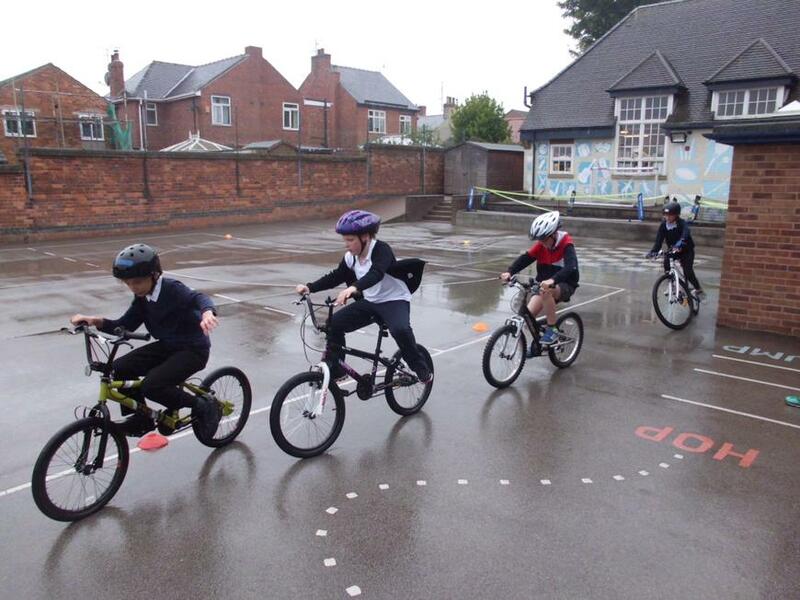 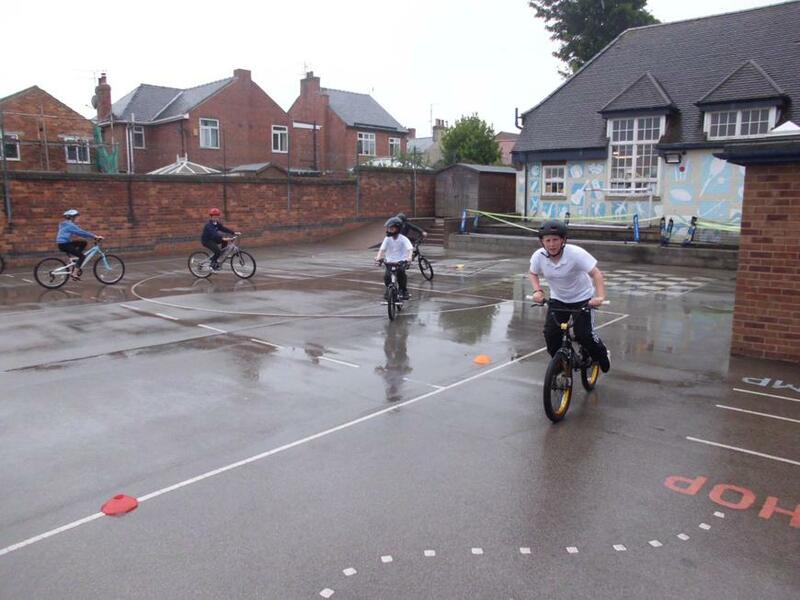 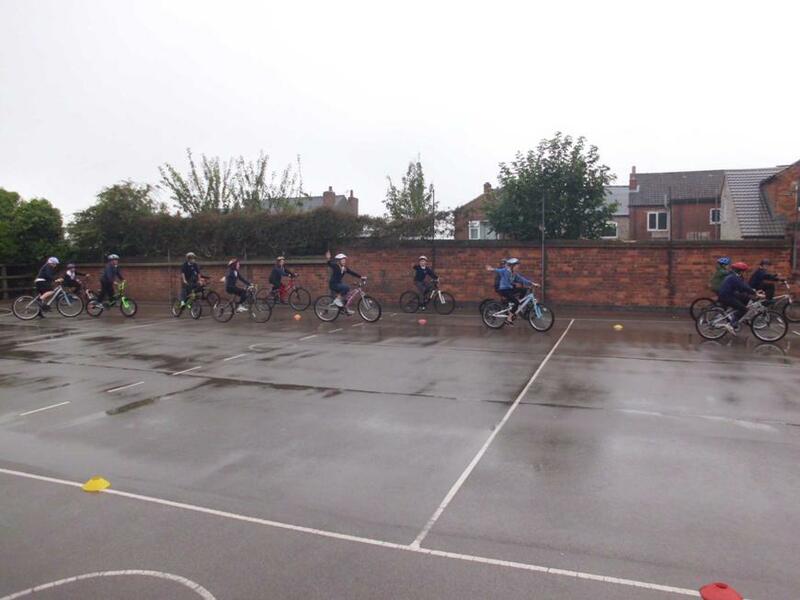 Unfortunately it was a very wet Summer's day but this did not stop the children having a good time and completing their training up to Level Two, meaning they are safe to ride on the roads, when accompanied by an adult or older sibling.